Living... in San Francisco with her father, Danny, her sisters, D.J. and Michelle, and her two “uncles,” Jesse and Joey. Interests... sports. As she gets older, Stephanie becomes tomboyish, and does not display interest in typically "girly" activities. She plays on a baseball team for a while, but shows the range of her athleticism when she becomes interested in dance, specifically ballet. Relationship Status... single. Stephanie is mostly too young for relationships and is not yet interested in boys. Challenge... being the middle child. Stephanie often feels like she has to vie for attention, telling D.J., "You're always gonna be the oldest and Michelle's always gonna be the baby and I'm always gonna be stuck in the middle." As a teen, Stephanie faces issues like being pressured to smoke or make out with boys. She doesn't always have the best judgment, but fortunately has her older sister to talk her out of potentially dangerous things (or at least threaten her with, "I can tell Dad"). Personality... sarcastic, nosy, and athletic. Stephanie is outgoing and does well in school, despite the difficult social situations she sometimes finds herself in. She and D.J argue frequently, but (mostly) grow out of this as they get older. More than once, Stephanie is caught reading D.J.’s diary or eavesdropping on her phone calls. She is more or less clearheaded and able to make good decisions under pressure, showing the success of her loving family's influence on her. 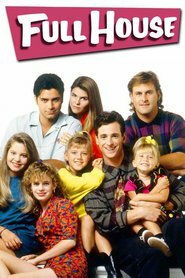 Stephanie Tanner's popularity ranking on CharacTour is #1257 out of 5,000+ characters. See our top-ranked characters and read their profiles.